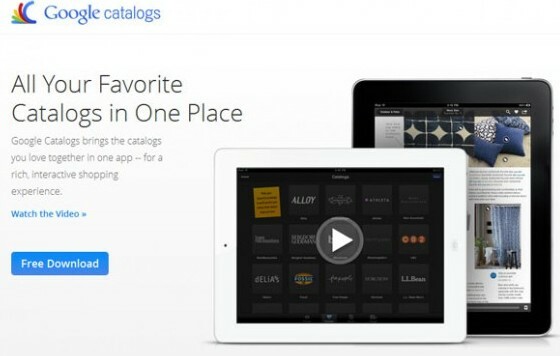 Google has launched a new app for all you shoppers called Google Catalogs. It is a free app for tablet devices that enables you to browse all of your favourite catalogs and interact with new layers of rich-media content. The app features digital versions of catalogs across various categories, including fashion and apparel, beauty, jewellery, home, kids and gifts. Google has partnered with a variety of top brands including Anthropologie, Bare Escentuals, Bergdorf Goodman, Crate and Barrel, L.L. Bean, Lands’ End, Macy’s, Neiman Marcus, Nordstrom, Pottery Barn, Saks Fifth Avenue, Sephora, Sundance, Tea Collection, Urban Outfitters and Williams-Sonoma.